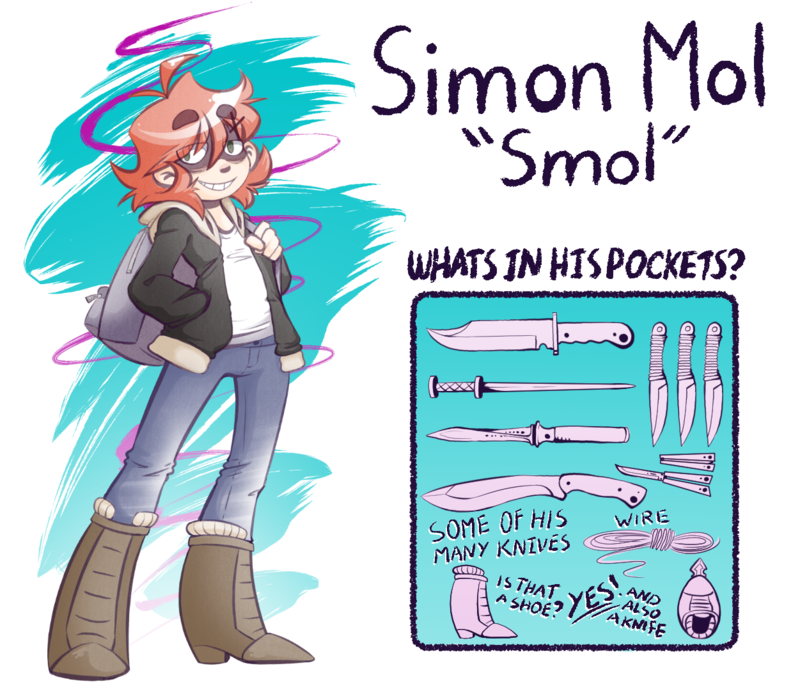 Simon Mol, Smol for short, is a 25yo assassin, however he prefers the term â€œfreelanceâ€. By no means is he the sharpest tool in the shed, but for what he lacks in book smarts he more than makes up for in his impeccable skill to trail, investigate, and kill. Having been trained as an assassin for most his life, he sees little wrong with his career choice and has no problem killing anyone anywhere for the right price. He does his job and he will do it with a smile. He favors knives as his weapon of choice, and sneak attacks as his method of killing. Not one to pick a fight with people, but certainly one to follow them home at night and break into their house just so they know that if he wanted to kill them he could have(and often will). Smol is not the greatest at making friends, but he sure thinks he is. If someone were to treat him well, then he will assume that they have become friends. Itâ€™s not uncommon for him to think he is friends with someone who hates him.